For reasons only known to themselves, Volkswagen sells two versions of the Passat. 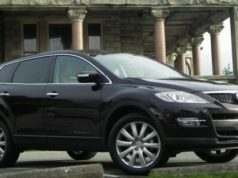 The looker of the two, the CC, has now actually dropped its Passat appellation and is known just as the CC. Under the skin, it’s still pretty much a Passat, but with more attractive sheet metal and a much nicer interior layout. The garden variety, meanwhile, is available with three separate engine choices: a 2.5 litre four cylinder, a 3.6 litre V6, and VW’s 2.0 litre TDI diesel. My tester, a top-of-the-range Highline version, had the latter powerplant, mated to a six-speed TipTronic automatic transmission. You can, depending upon the model, also get either a five or six speed manual gearbox. Price would be the determining factor here; in this trim level, the Tiptronic adds some $1600 to the price tag. Is it worth it? I suppose so, if you really are dead set against shifting gears manually. But, for what it’s worth, a manual gearbox complements this engine nicely. Specs for the TDI engine are 140 horsepower and 236 foot-pounds of torque. While the horsepower number is unimpressive, the torque is phenomenal for an engine of this size. By way of comparison, the 3.6 litre V6, with twice the hp, has only marginally more torque: 258 ft. lb. That’s what makes the TDI so attractive: little package, big numbers. During my time with this car, I completely forgot that I was driving a 1524-kilogram mid-size sedan powered by a two liter engine and power availability was never an issue. Let’s not forget fuel economy; the TDI version, with the Tiptronic, delivers an impressive 6.9 L/100 km in town and a remarkable 4.9 on the highway. For a mid-size sedan, these numbers are top-notch. The Toyota Prius V, for example, is actually a smidgeon thirstier on the highway than the manual transmission version of this car. With its 70 litre fuel tank, the Passat TDI will take you from Toronto to, oh, Chicago non-stop, with plenty left over. If you were really careful, you might even be able to make a round-trip of it. And the TDI behaves like a much larger engine. Thanks to all that torque, it has V8-like punch coming off the line and all kinds of reserve power on the highway. VW has done such a nice of muffling this engine that you could be forgiven if you didn’t even realize it’s diesel-fuelled. Cold morning start-ups involve a one or two second wait (at least at this time of year) before the engine catches, but, with the push-button start, all you do is press the button and the engine purrs into life. That said, I can do without this last feature….if there’s an advantage to a push-button starter, I’ve yet to experience it. Elsewhere, what the TDI may have going for it in terms of drivetrain sophistication, it lacks in presence. This is arguably the most banal looking model in the company’s stable and blends into the scenery like a mid-1980s General Motors product. Inspiring, it ain’t…..maybe VW is keeping it that way as a kind of counterpoint to the CC, which starts at about $12,000 more. Speaking of which, you can get a base, non-TDI Passat Trendline for less than $24,000 before taxes and extras, which makes it a fair deal. The TDI, meanwhile, starts at $26,575, which is still reasonable, but you have to decide if the money you spend off the top will come back to you in fuel economy savings. If you rack up the highway miles, the answer is probably “yes”, but otherwise…..well, that’s between you and your bank account. One noteworthy feature about the Passat, regardless of the model, is the size of the trunk. It is absolutely cavernous back there, with well over 450 litres of cargo room. 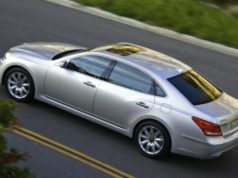 Comparatively, a Honda Accord will give you 439 litres, while a Nissan Altima is good for 436 litres. Behind the wheel, it’s the usual VW sensible shoes approach to switchgear and ergonomics. I found the climate control system to be a little on the fussy side, and the doors that self-lock after 13 km/h are a monumental pain in the keester, but this latter feature can be disabled. My tester also had leather interior, paddle shifters, a navi system, rear-view camera, and larger 18-inch wheels and tires, all of which add some $2250 to the sticker price. The Passat advertises seating for five and there’s plenty of elbow room for all….some 2888 litres in total. I also want to add a word about this car’s handling/braking. In a word, it’s first-rate. 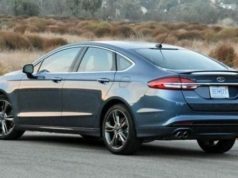 This rendition of the Passat can’t be classed as a sport sedan by any stretch, but it will keep up to anything else in this category and will run rings around some other models….Sonata and Camry, for example, when the road starts to tighten up. That extra dimension of performance has always been one of VW’s strongest points and is a big plus, in my opinion. Fuel economy: (litres/100 km): 6.9 city; 4.9.0 hwy.